There are so many shows, guys. Over 500 scripted series across broadcast and cable and streaming services like Netflix, Amazon, Hulu, Crackle, YouTube, Facebook, and Gas Station TV. It’s exhausting. How do you keep up? You can’t. Stop trying. You can’t. There are more hours of original content to be watched than there are hours remaining in your life, with more being added every year. As the pool gets wider, it gets shallower, with fewer shows that are truly exceptional. Enough preamble; here’s what stood out to me in 2018. Just Outside: Terrific Netflix documentary Wild Wild Country and mockumentary American Vandal; adorable cartoon Hilda; the eternally sunny Great British Baking Show; the moving final season/Anthony Bourdain tribute that was the final season of Parts Unknown. Daredevil (Netflix): The final season of the recently-cancelled Netflix/Marvel collab was also the best one: Tighter plotting, sensational action (that single-take prison riot! ), and a worthy face-off between Charlie Cox and Vincent D’Onofrio. Deutschland 86 (Sundance): Returning three years (obviously) after the acclaimed Deutschland 83, this iteration of the Cold War spy drama was zippier, funnier, more stylish, more emotionally resonant, and ought to make a star out of Jonas Nay. A great watch. Doctor Who (BBC America): With an exuberant Jodie Whittaker and an appealing supporting cast, Chris Chibnall’s first season at the wheel was, overall, a success — though the season’s best episodes (like “Demons of the Punjab”) were written by others. The Expanse (SyFy): The third season rocked, I devoured all seven books (to date) this summer, and I’m so glad Amazon rescued it. Fans of BSG and realistic space science fiction need look no further for their latest addiction. The Handmaid’s Tale (Hulu): How much misery can you inflict on an audience in thirteen hours? The show’s not getting any easier to endure, but the craft and performances (from the women, at least) are still unimpeachable. The Little Drummer Girl (AMC): Director Park Chan-wook adds moody style to this le Carré adaptation, led by a show-stopping Florence Pugh (PEW PEW) as an actress who signs herself over to [Michael Shannon voice] “the fiction” to bring down a terrorist. The Marvelous Mrs. Maisel (Amazon): The reigning Emmy juggernaut takes odd digressions in its second season (two episodes in Paris? Three in the Catskills? ), but the fizz-bang dialogue and incandescent Rachel Brosnahan are still wildly, deliriously entertaining. Succession (HBO): I was a little late to this party, but about halfway though the series changes from “watch this family of monsters try to destroy each other” to “I cannot stop watching these monsters.” It was the darnedest thing. Sweet, sweet Cousin Greg. It’s not often that you talk about a series being “bold” and “taking risks” and really, really mean it — the absence of Legion from this list shows that there’s a line between artiness and exhaustion — but Barry did just that in its quietly audacious rookie season. Created by Bill Hader and Alec Berg, the series walked a near-impossible line with its veteran-turned-hitman protagonist: How long would we root for a guy who desperately wants to be good, but keeps doing irredeemable things? 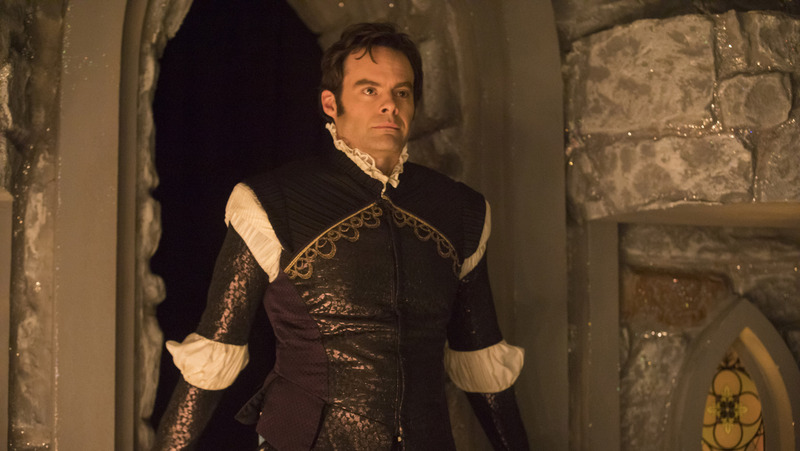 It plays Hader’s natural likability against us, using the “criminal stumbles into an acting class” setup as a diabolical trap while still milking the silliness of it. With its Coen Brothers-inspired mixture of dark comedy, graphic violence, and moral uncertainty, Barry could have been a belly flop. Instead, with Hader’s exceptional performance at its center, it soared. 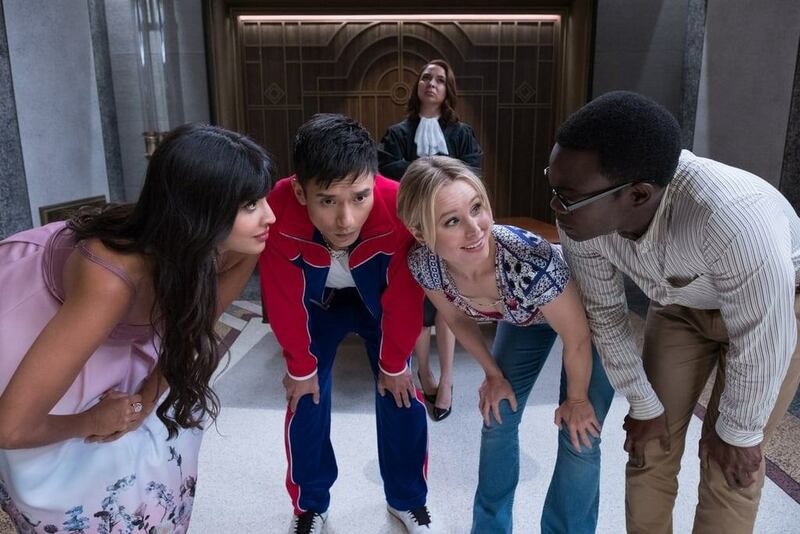 The early episodes of Season 3, which returned Team Cockroach to the “real” world as they searched for purpose, lacked some of the wild-eyed creative spark of their adventures in the Bad Place — and kept the show on the bubble as I started putting my list together. But Mike Schur’s singular conscience-teaser (and sole broadcast representative) rewarded our trust with last week’s gobsmackingly brilliant “Janet(s)”, a showcase for D’Arcy Carden and a milestone for both character and story development. The exceptional cast, led by National Treasure Ted Danson and Manny Jacinto’s unprecedented line-to-laugh ratio, is one of TV’s tightest ensembles — but the series’s sticking power is its belief in the innate goodness of its characters, even those designed to be bad. Nowhere else will you witness a frank conversation about contractualism vs. utilitarianism being interrupted by a goober name-checking Blake Bortles while throwing a Molotov cocktail at a group of hipster demons. Phoebe Waller-Bridge’s cat-and-mouse series was one of 2018’s biggest word-of-mouth successes. It’s funny, suspenseful, and continually surprising, and Sandra Oh and Jodie Comer (as an off-the books MI6 agent and the assassin she’s hunting, respectively) are flat-out sensational. Huge congrats to Oh, who has long-deserved a starring role this juicy, but it’s the magnetic Comer whose meteoric rise mirrors the series’s itself: her Villanelle is a cold-blooded psychopath with the emotional development of a teenager; one minute she’s stabbing a target through the eyeball with a hairpin, the next breaking into Oh’s house just to share her dinner, and their mercurial relationship starts to become something else entirely. 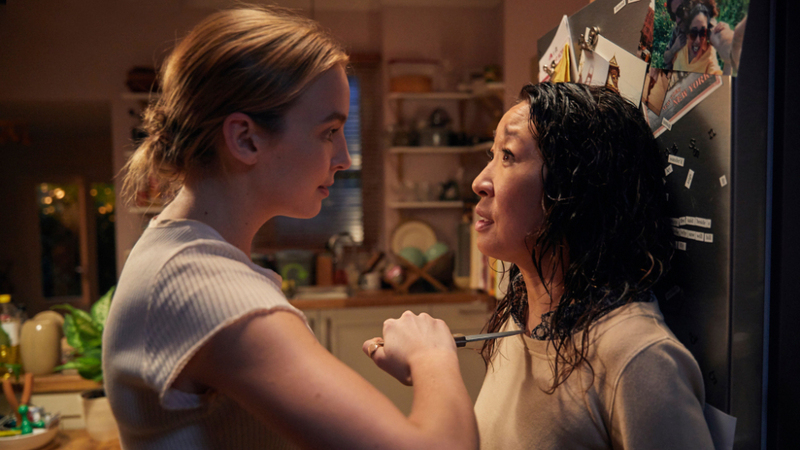 The second-half teases of global conspiracies and secret organizations aren’t nearly as interesting as the central pair, but Killing Eve earns its place here with distinction.